Representatives of organizations involved in maintaining and using Richmond’s James River Park system spoke and fielded questions at the Richmond Trail Forum to a full house at the Byrd Park Roundhouse on Feb. 1, 2017. Panelists were Nathan Burrell, Mike Burton and Andrew Alli of James River Park; Michael George of Richmond Road Runners; Dennis Bussey of James River Hikers; and Greg Rollins of rvaMORE. Moderator was Brantley Tyndall of Sports Backers’ Bike Walk RVA. The group presented an overview of park history and recent improvements and addressed concerns. The system of trails primarily weaves through forested areas along the north and south banks of the James River from Boulevard Bridge to Ninth Street but also extends into other natural areas, including Belle Isle, Forest Hill Park and Ancarrow’s Landing. Three common user groups of the trails are runners, walkers (often with their dogs) and bikers. The trails are a mix of wide fire roads and single-track, of straight, level trails and windy, hilly single-track. Many of the attendees who filled the room were already regular park users, but takeaway lessons were helpful for all park users, whether frequent or occasional. The 600-acre James River Park is a City of Richmond park, supported by tax dollars, six year-round staff members and volunteer groups. The park sees nearly 1.4 million visitors annually. Using counters that distinguish between bikes and pedestrians, park staff can tell who uses the park and when. In 2016, the park saw approximately 1.4 million visitors, with two-thirds of those being pedestrians. Besides the trails that the city and volunteers have built and maintained since 1972, the park system has added markers that are geo-referenced for emergency response. In case of emergency, callers can tell fire and rescue which marker is nearby and responders will know the exact spot. Since installation of the markers, emergency response has improved from 30 minutes to five minutes. The three groups operating at three distinct speeds – walker, runners and bikers – have shared the trails well. Though the trails at Ancarrow’s Landing (affectionately dubbed the Poop Loop for its proximity to the wastewater treatment plant) have recently been labeled for one-way bicycle use, all other trails currently can be used in either direction. Most of the single-track trails are too narrow for people to pass easily, so guidelines help make the transitions smooth. Pedestrians have the right of way and the International Mountain Bicycling Association suggests that bikers should always yield to people on foot. However, most runners and walkers acknowledge that it’s easier for pedestrians to step aside and to stop and start than for bikers, thus will step aside to let bikes pass. Besides the courtesy factor, bikers are legally required to signal to pedestrians. Some cyclists have put bells on their handlebars to better signal their approach. Cyclists and runners in groups are encouraged to (and typically do) announce how many in their group are behind them, so other groups can know when to proceed. When two bikers approach in opposite directions, downhill should yield. Headphones are discouraged, since they interfere with these communications. All dogs must be leashed. Not only is this the most common complaint, these dogs present dangers for others users and for wildlife. Park leaders have discussed the possibility of setting a part of the park aside for unleashed dogs, but no decisions have been made. Walkers and slower runners yield to faster runners. “Bike/runner up” signals an approaching bike or runner in front; “Bike/runner back,” for a biker or runner approaching from behind. The presentation focused in large part on sustainability, on maintaining the trails for park health and continued use. James River Park staff are the ones primarily responsible for building and maintaining trails, considering both health of the park and safety of the users. If you will leave a mark on a wet trail, don’t. In other words, since using wet trails can damage them, all users should refrain from using the trails after rain or melting snow until the trails have dried. RVA Trail Report on Facebook provides updates on trail conditions. 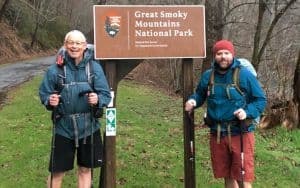 Encourage the city and other regional governments to add money and staff, not only to support the James River trails but other trails around the area. “We live and die by volunteer groups at the park,” said Burton. Supporters can donate time or money to any of the groups represented at the forum (see list below) to ensure that this valuable resource will be ours for generations to come. Mark your calendar for RVA Trail Day on June 3, 2017, and stay tuned for details. And of course, never litter! And pick up trash when you do see it. Friends of the James River Park is an all-volunteer organization that provides ongoing support for conservation, enhancement and recreational enjoyment of the James River Park System while protecting its natural and historic environments. 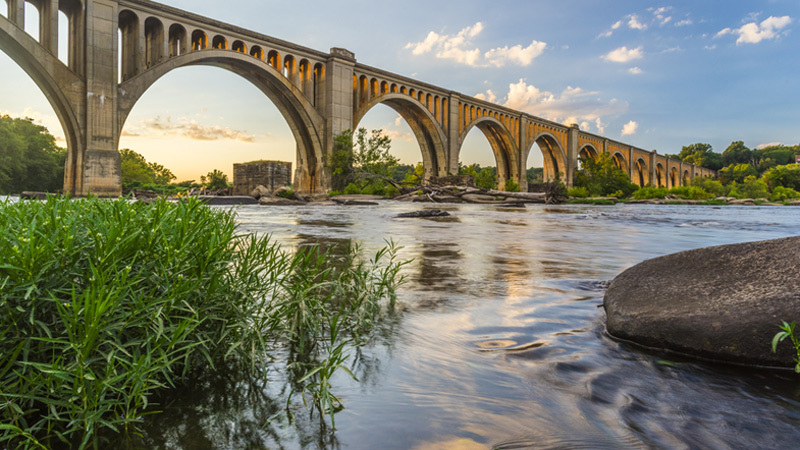 James River Association acts to promote conservation and responsible stewardship of the James River through advocacy, education, community conservation and watershed restoration. James River Outdoor Coalition provides resources to complete improvements in and around the James River Park System and educates and advises on issues pertaining to the James River Park System. RVA MORE supports mountain biking in the Richmond region through organized rides, developing and maintaining trail systems and providing support for other relevant projects. James River Hikers hosts frequent group hikes on the Richmond trails, highlighting local history and encouraging social interactions. Group members also volunteer on park improvement projects, including historical signs. Richmond Road Runners Club represents perhaps the largest group of park users. Among other work, RRRC volunteers have put in a fountain at Pump House, cleaned up trails and contributed money.